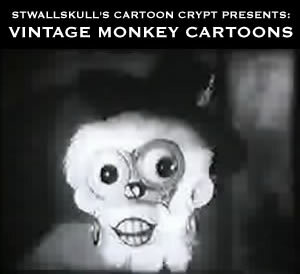 Another one for the Vintage Monkey Cartoons list… this one is from Warner Brothers. A gag-overflowing Tex Avery directed Warner Brothers cartoon I’m fond of, that was on heavy rotation locally when I was a kid. Bread and butter. The Big Cartoon Database claims that besides Foxy and Roxy looking a whole lot like Mickey and Minnie, a lot of the gags in this cartoon were plagiarized. It sure is fun, regardless. The hobos are just great. 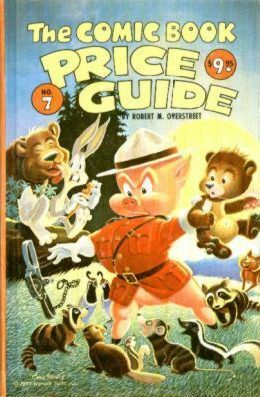 Read more about this cartoon at the Big Cartoon Database. It appears that this cartoon is available with a bunch of other miscellaneous cartoons from the 30’s on the DVD Return of the 30’s Characters. Here’s a great very early Warner Brothers cartoon.